If you followed my old blog, you'd probably know how hard it is for me to find a good lipstick brand cause I get allergic reactions to most brands. I get chapped lips which I thought was normal, but apparently it was the manifestation of the allergy. For years, it was always just tinted lip balm for me. 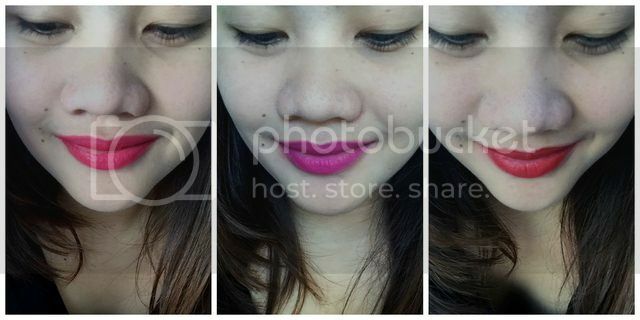 I used Revlon's Colorburst balm which had amazing colors, but still ended up chapping my lips. Well a year ago, I found myself using my first MAC lipstick and I think I finally found my lipstick partner for life! 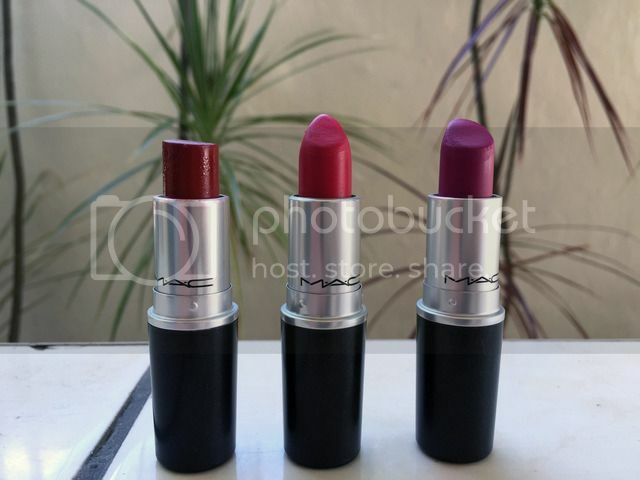 I finished my first tube of MAC lipstick a few months back (Girl About Town) and after that I got the Russian Red (a MAC classic) and two other matte shades just because. 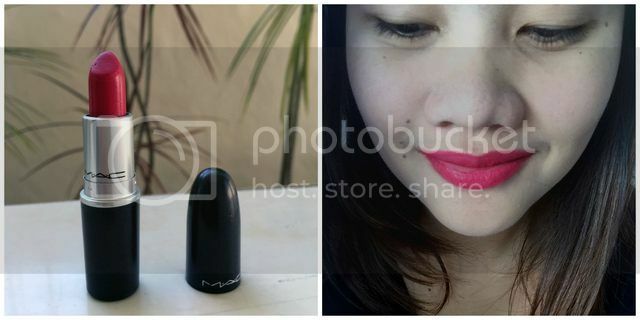 Let me feature here my two latest lipstick tubes from MAC. I love that this shade is red but not a deep red. It's good if you want to wear a reddish shade for everyday. Normally, I don't wear the Russian Red cause it's too red and calls too much attention. This shade however is more subtle but has enough red to make your lips pop! I love its purplish-pink shade! I really like pink lipstick but it's hard to find the right shade for my skin tone. Some get too pink that they look neon, while some are too dark, they're bordering on violet. This one is just the perfect mix! 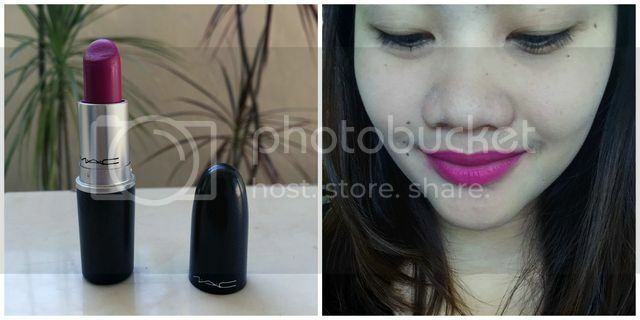 And while I was online, I found out that this shade is actually the matte version of Girl About Town (my first MAC lipstick!) How cool is that? I can't say my lips don't completely chap anymore with MAC cause they still do but it's not as bad as the other brands. And when I say not as bad, I mean they don't dry up on a daily basis or chap as badly. I really think I finally found my lipstick partner for life with MAC! How about you, do you have the same sensitive lips problem? What brand do you use?